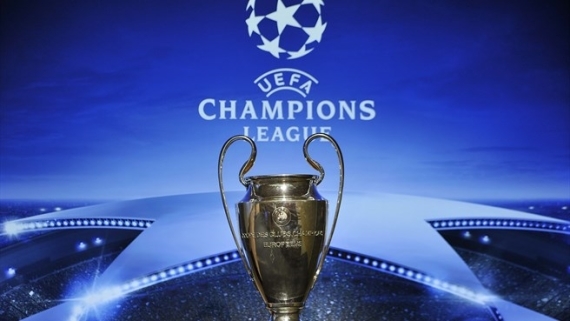 The UEFA Champions League is here! Barcelona are favourites at 3/1, but just who will come out on top? The Champions League is here! Real Madrid are 11-time winners after last season’s dramatic penalty-shootout victory over arch-rivals Atletico Madrid. Los Blancos have been pitted up against some tricky opposition, facing Dortmund, Sporting Lisbon and Legia Warsaw in Group F. This year’s Champions League hosts a large amount of talented players, but some of Europe’s biggest stars will be forced to watch from home. It may seem like a strange tournament without big-name players, like Paul Pogba, Zlatan Ibrahimovic and Eden Hazard, while Jose Mourinho will also miss out with his Manchester United team. Enough about the non-participants, though, the show must go on and there is plenty of talent on showcase. Let’s take a closer look at each group and see who will come out on top. Arsenal come into the Champions League this season as England’s most consistent team. Without previous winners, Manchester United, Liverpool and Chelsea participating, the Gunners have their best chance in years to prove that their worth competing at the highest level. In a cagey group, Arsene Wenger’s side are tipped to top the standings. They’ve strengthened in key areas and offer great value at 29/20. Benfica are certainly my personal favourite to top Group B. They’ve always produced top young players, mixing it up with that extra bit of experience. They should win all their home games, ensuring nine points in the group. Rui Vitoria is a great manager, with a superb team that has won three consecutive Portuguese titles. Back the Eagles to fly on top of Group B at 18/10. As expected, Barcelona are short favourites to win what is arguably the hardest group in the tournament. As short of a price they are, you just cannot back against it. They could even come out on top of Group C undefeated. There’s just too much talent in this Barca team with Lionel Messi, Luis Suarez and Olympic gold medal winner, Neymar. Avoid the search for value and back the obvious at 7/20. You won’t go wrong. Carlo Ancelotti’s Bavarian giants have been pitted up against Atletico Madrid in Group D, the team that put them on their backs and rolling out of last season’s Champions League. This time around, they should come good. They’re likely to hammer every team both home and away with the exception of Atleti – who they should grind out a victory over. The price of 4/10 may be short for such a challenging group, but Bayern should triumph. Group E is one of the most open tables in this season’s Champions League. Tottenham Hotspur are priced up as 5/4 favourites, while I just don’t see it happening. Spurs should get stage fright, and to be honest, their side is not yet ready to compete at the highest level. With that being said, Bayer Leverkusen are my fancied team in the group. Javier Hernandez has proven to be a goal machine since his move to the German club and should bang in the goals to guide Leverkusen to the top. Roger Schmidt’s side are worth backing and offer great value at 19/10. Group F is certainly one of my favourites and one to look out for. It contains two of the most attacking-based teams in world football – Real Madrid and Borussia Dortmund. The duo host two coaches on the rise in Zinedine Zidane and Thomas Tuchel. Undoubtedly, Group F will provide us with the most goals. With that being said, Dortmund are worth a cheeky tenner at 37/20. But if I had to go all-in with my money, I’m backing Real Madrid, despite the short price of 9/20. Another group that is largely open and up for the taking is Group G. FC Porto, Leicester City, Club Brugge and FC Copenhagen will all be going for top spot. However, I would just narrow it down to two teams. Porto and Leicester should go head-to-head for first place, although, the Foxes’ away games is where they could drop some valuable points. Porto have become a mainstay in the Champions League and will have that extra bit of experience to help them. They battered Roma in the qualifying stages, winning 4-1 on aggregate and should do enough to claim top spot. Despite losing their biggest player in Paul Pogba, Juventus are still a quality team in both attack and defence. They face some tough opposition in Group H, with Sevilla and Lyon their biggest contenders for top spot. The strike force of Argentine duo, Gonzalo Higuain and Paulo Dybala, should be too much for any defence to handle. At 5/10, the Bianconeri are well priced to top the group and could see themselves go very far in the tournament. To no surprise, Bayern Munich will be where I’m putting my money this season. They may have lost Pep Guardiola to Manchester City, but they’ve replaced him with a Champions League king in Carlo Ancelotti. The Italian has won this tournament three times and has participated in four finals – better than any other manager. If that isn’t enough to convince you, the Bavarians have strengthened their squad in ways that are terrifying for opposing teams. They’ve signed Renato Sanches from Benfica, who showed his talent for Portugal in the 2016 Euro’s, and was named Young Player of the Tournament. Still not convinced? They’ve snatched Mats Hummels from Borussia Dortmund, completing a backline that already featured Manuel Neuer, Jerome Boateng, Philipp Lahm and David Alaba. That said, Bayern Munich are tipped for glory in Ancelotti’s first season at the helm.